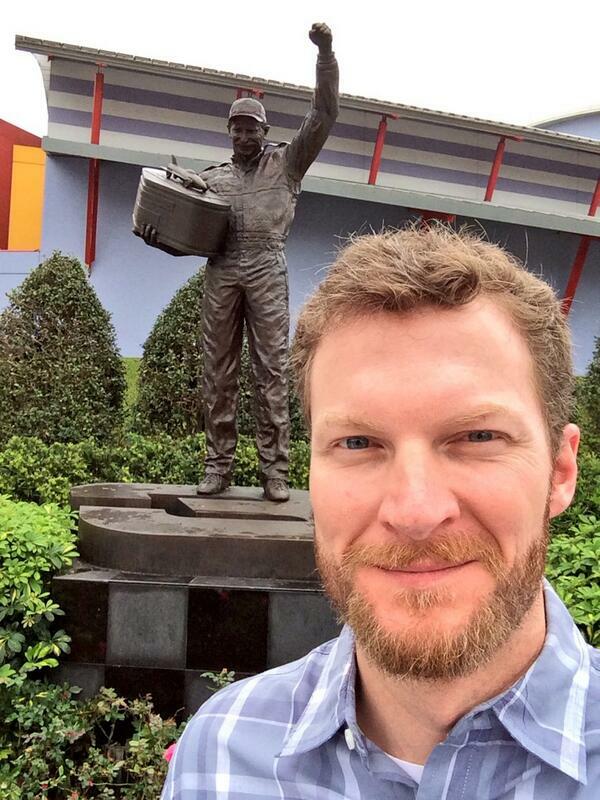 One of NASCAR's most popular drivers, Earnhardt Jr. had been a social media skeptic. 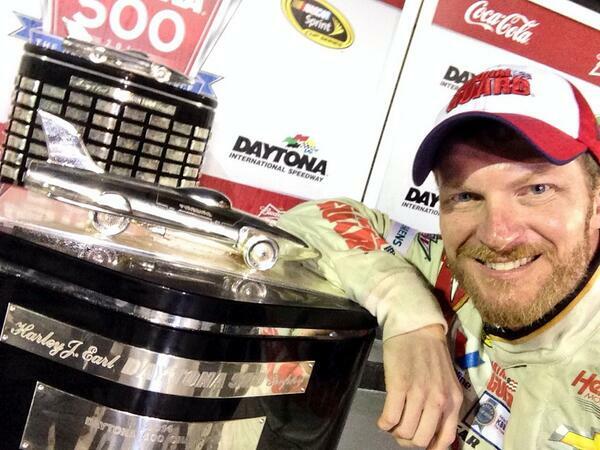 Shortly after 2:30 a.m. Monday morning, well-known Twitter holdout Dale Earnhardt Jr. sent out his first tweet from victory lane at Daytona. It was his second career Daytona 500 win. And ended a 55-race winless streak, which dated back to 2012. The NASCAR faithful didn't waste time giving Dale Jr. an impressive following. Although the account was created in 2008 and has picked up a large following since then, it picked up over 100k followers since the victory lane tweet. And he's learned very quickly how to please all of them. Here they are: Junior and his father together.